The other day, a lawyer-friend reposted a PH diplomat's post about the PDu30 government, portion of which says, "Philippine democracy remains alive and vibrant." 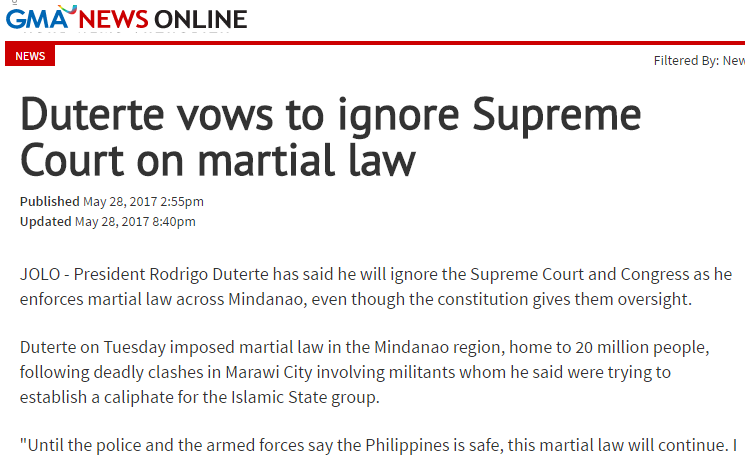 "Until the police and the armed forces say the Philippines is safe, this martial law will continue. I will not listen to others. The Supreme Court, congress, they are not here,"
I asked my friend and some commenters in his fb wall why there seems to be no issue here, No legal or constitutional issue? I added, "wow. One-man-rule na nga." 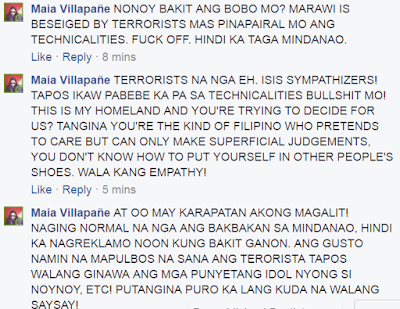 Then this Maia Villapane came with very low-life minded response. 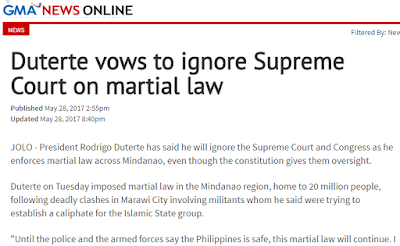 The language is very typical of Du30 and many of his supporters' mouth. 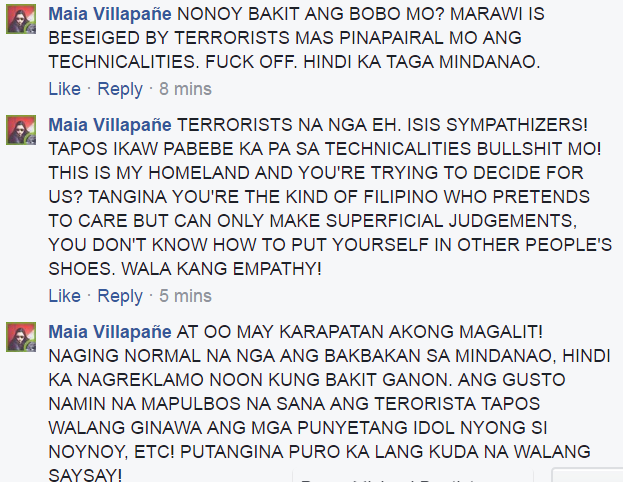 They brag their low level minds in social media by reiterating their foul language. But as I always say -- If people self-destruct, we should not interrupt. Let the fanaticism and low-life consciousness display in public.